On Wings of Eagles: Christ died for everyone. 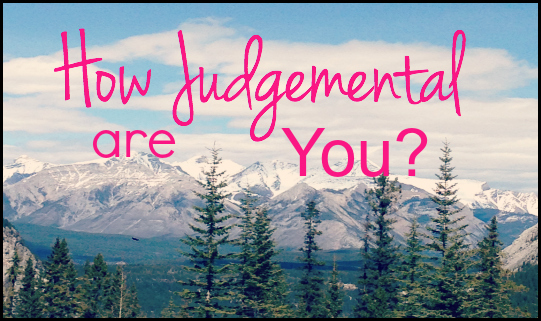 It's very hard not to be judgmental of other people, especially if they are different. That reminds me a story about a girl named Lynsey in Middle School. She came home from school in tears. Earlier in the morning, she had seemed so bright and eager to go to school, but something happened that broke her heart. It took place in the Social Studies class. The teacher was asking where everyone came from, to try to find out how many different places, towns, and states everyone belonged to. When it came to Lynsey's turn, she reported that she had been born in Scotland, a fact that some students in the class were unaware of. During recess, something occurred in the hallway, and someone called out, "Stupid, little immigrant!" It came from the lips of a girl whom Lynsey considered as her friend, and she was totally shocked. When she came home, she was in a great deal of mental and emotional pain. She thought she had been accepted. Instead, she ended up being ridiculed. 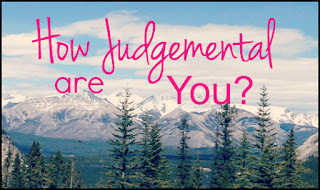 Sometimes as Christians, we can come across as being prejudicial and judgmental of those who are different, too. Christ died for the whole world, and God's love is freely offered to everyone. So, when we deal with other people, no matter who they are or how different we are to them, we are to offer equally God's grace to each one. Dear Lord, help us to see one another through Your eyes. Grant us the gifts of toleration and compassion, so that we may effectively witness to Your mercy and grace. In Jesus’ Name. Amen.